A Listeria infection is a serious infection caused by eating food contaminated with the bacteria. The disease usually affects pregnant women, newborns, and adults with weakened immune systems. 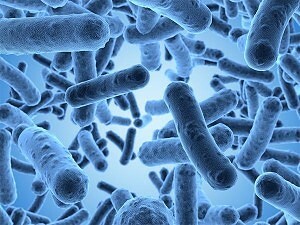 Listeria is found in soil and water. Vegetables can become contaminated from the soil or from manure used as fertilizer. Animals can carry the bacteria without appearing ill and can contaminate foods such as meats and dairy products. The bacteria has been found in a variety of raw foods, such as uncooked meats and vegetables, as well as in processed foods contaminated after processing, such as cheese and cold cuts at the deli counter. Foods made from unpasteurized milk may contain the bacteria as well. A person with a Listeria infection has a fever, muscle aches, and sometimes gastrointestinal symptoms such as nausea or diarrhea. If the infection spreads to the nervous system, headache, stiff neck, confusion, loss of balance, or convulsions can occur. If you or a loved one has contracted Listeria, please contact our personal injury attorneys today. May 2016 – The U.S. Food and Drug Administration (FDA) issued an order expanding a recall of sunflower seeds. The popular products were shipped to more than 24 states, including New York. According to the FDA, consumers who purchased any of the recalled items should immediately dispose of them or return them to the store for a refund. If you’ve experienced any of these symptoms and believe they are related to listeria-tainted sunflower seeds, contact a lawyer at Cellino & Barnes today for a free consultation. Cantaloupe grown in the Rocky Ford region of Colorado by Jensen Farms of Holly., Colo., have been linked to a growing and deadly listeria outbreak. Federal officials stated on Tuesday (Sept. 28, 2011) that at least 13 people are dead and 72 sick in an outbreak of listeria food poisoning. The food poisoning has been tied to contaminated cantaloupes. A Massachusetts firm has recalled some Nature’s Promise and Wegmans brand salad mixes (among several other brands) due to potential Listeria contamination. The Associated Press reports that Rhode Island health officials reported that one package of “Northeast” spring mix salad tested positive for Listeria. Affected bags will have either of the “traceback” code numbers 45693 and 45703 printed on the upper right-hand corner of their bags. The “best if used by” date will be no later than January 15, 2011, for either traceback code, according to the FDA. Nature’s Promise lettuces and premade salads were sold in clamshells. The Wegmans greens were packaged in 5 oz., 10 oz. and 11 oz. sizes.